BROOKLYN DODGER SENSATION!!! 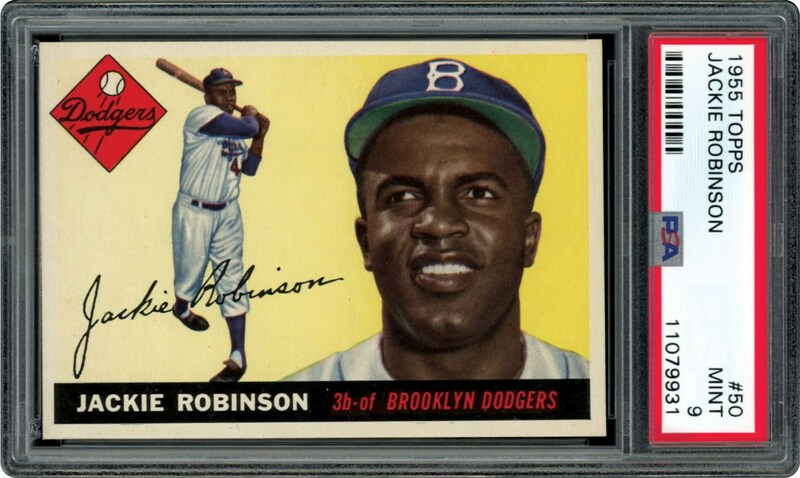 HOF Jackie Robinson 1955 Topps PSA 9 MINT Card!!!! Rarely seen in this PSA 9 holder, this card of JACKIE is full of life and has just a single superior. A great photo of JACKIE is displayed with a bold yellow background. 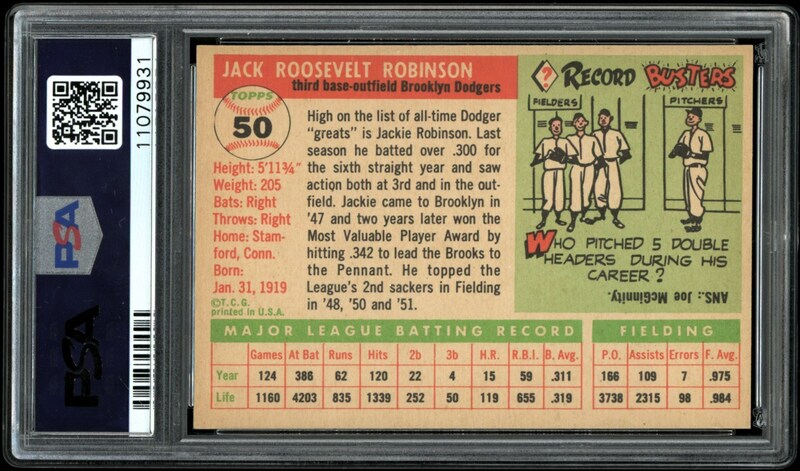 Clean corners and edges help give PSA the ability to put this card in a 9 holder. BID TO WIN this Hobby Favorite Card!!!! !